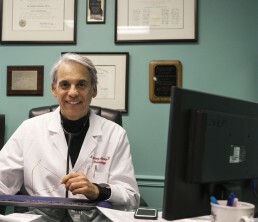 I call Dr. Albornoz the ‘Question Doctor’ as he takes a thorough history and does a complete examination every time I see him. No wonder he is so busy. I was sent to Dr. Albornoz for evaluation of a ‘frozen shoulder’ and I left with a normal shoulder, a diagnosis of a borderline diabetes (that was confirmed with a blood test) and a thyroid nodule that turned out to be cancer in the early stages. The MOST thorough physician I have ever visited! Finally, a doctor that listens to you and looks you straight in the face and not at a computer. He is a very talented, smart, funny and organized doctor. I am over 60 and had seen multiple rheumatologists and other specialists due to lifelong fatigue and severe pain. Literally, within 3 minutes of asking questions in such a compassionate and comforting manner, Dr. Albornoz recognized the origin of my problems. I revealed to him (because no else had asked before !!!) that I was the victim of abuse at an early age. With Dr. Albornoz’s care and the assistance of a wonderful psychologist, my life has done an about face for the better. After many, many decades, I have my life back. Thank you so very much and may God bless you Dr. Albornoz. 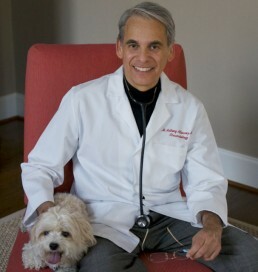 Dr. Albornoz is not only my physician, he has become a trusted friend and advisor. Very caring and sincere. To practice medicine with compassion, dedication, honesty, patience, empathy and unconditional support. To utilize education and open two-way communication as vehicles to incorporate the patient as a partner in the development and implementation of his or her diagnostic and treatment plan. And, lastly, to stimulate meaningful patient knowledge acquisition and self-empowerment. We have been practicing since 1980.